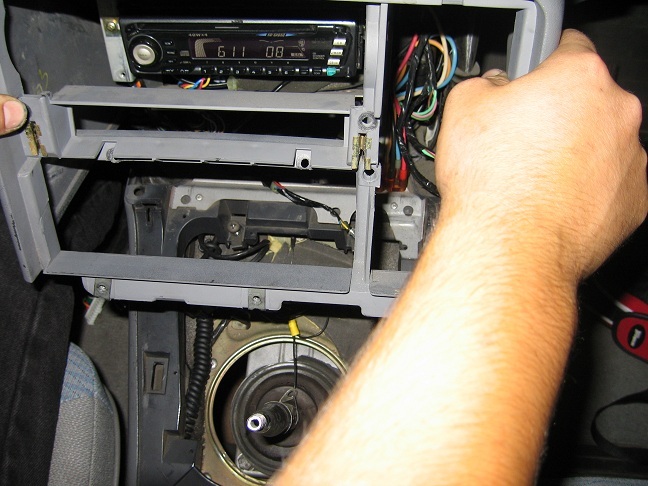 Discussion in 'Car Audio' started by Atreidae, May 4, 2006. I have been meaning to repost the pics for ages. By Continuing to read this article you agree to not hold myself, my company, the owner of this website or any of their / my partners liable for ANY damages being civil, physical or mental caused by using the information in this document. Whilst most of JC appreciates what I do and the time I gave up to make and post this guide the ones that don't grind my gears! Okay. First off just a few notes. Some of the instructions in this guide may be inaccurate or be slightly different for your model commodore. 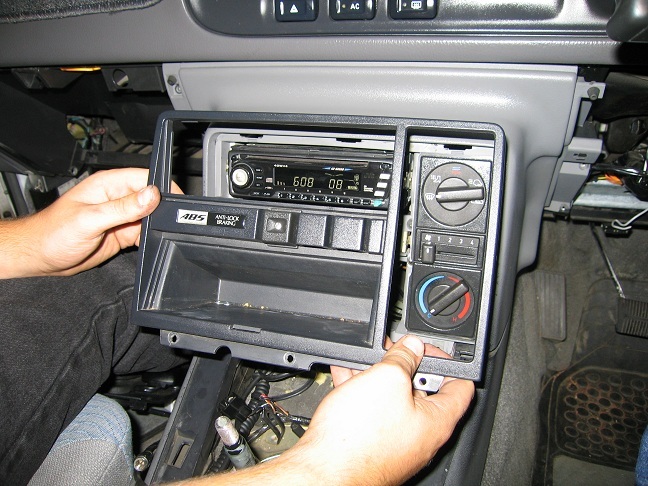 For example the VG,VS bench seat models have a different console. I will endeavour to update this guide to suit the slightly varied models. Any advice or guidance given in this tutorial should be taken as such. advice. 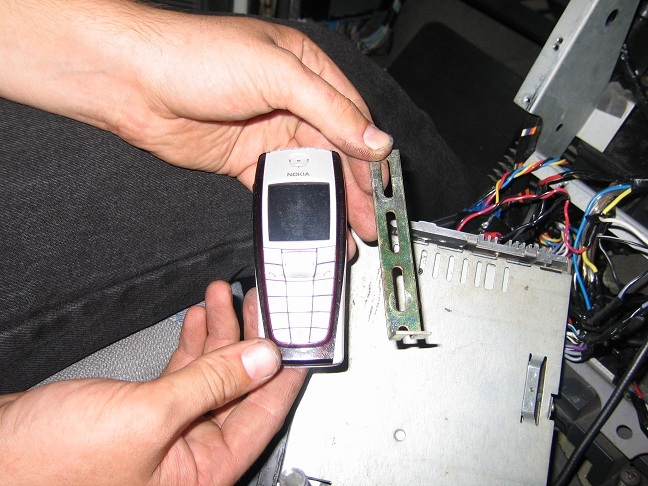 its not my problem if you car catches fire, runs over an old lady or your headunit explodes. be thankful you have any help at all. if you don't know what you are doing, seek the help of a pro. I dont want to see this guide posted on any other car websites without my exclusive permission, the images are hosted on my personal webspace and will soon be rolling over to my personal webserver. I dont take well to hotlinking or image stealing. if this guide is not on one of the following domains it has been stolen. And now to the guide. 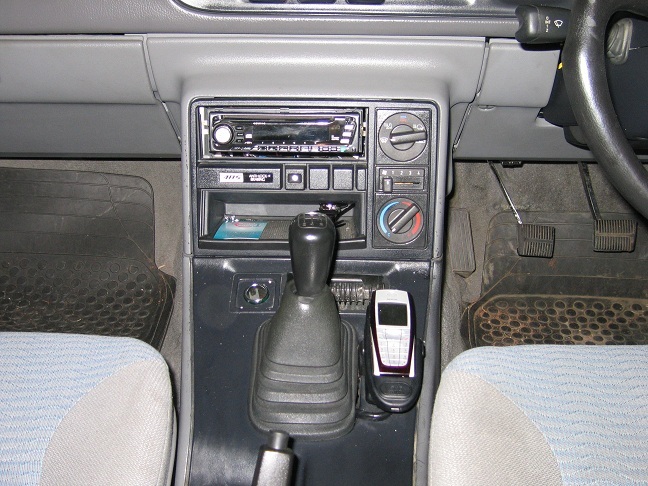 Normal view of the centre console. 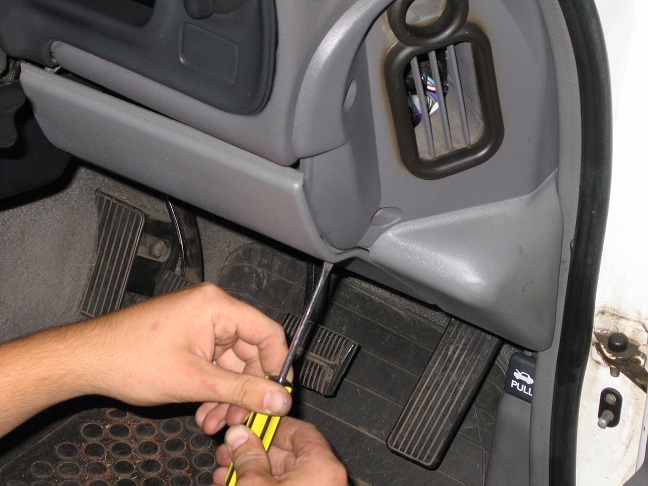 Begin by opening the drivers side dash panel (fuse panel) under the steering wheel.. using either the screwdriver or your keys. Whilst your down here its a pretty good time to disconnect the heater control rod. look towards the tunnel from the foot well.. near the heater pipelines should be a white plastic leaver with a steel rod through it. 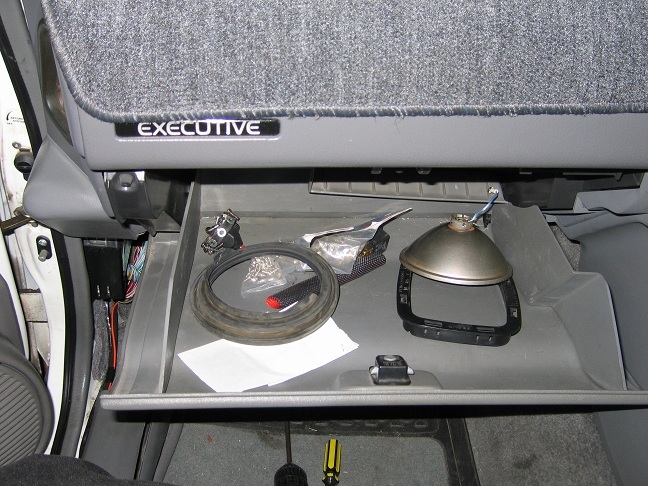 Clean out your glove box! 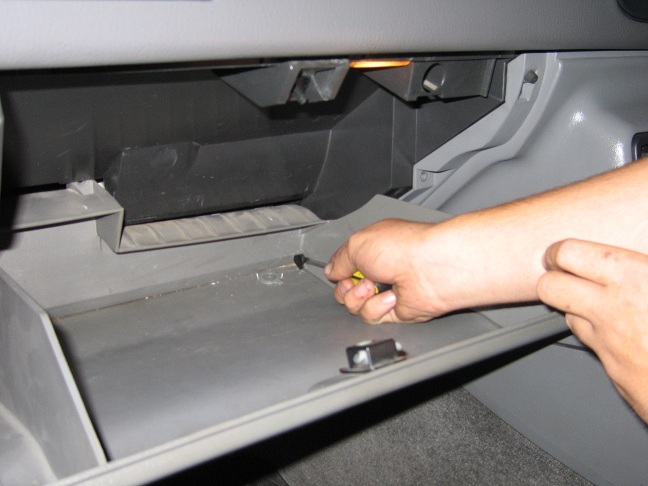 Remove the locator pin on the right and side of the glove box at the back.. its much the same as the dash panel one. but may need more "convincing" to get it out. if all else fails try a set of bent long nose pliers.. 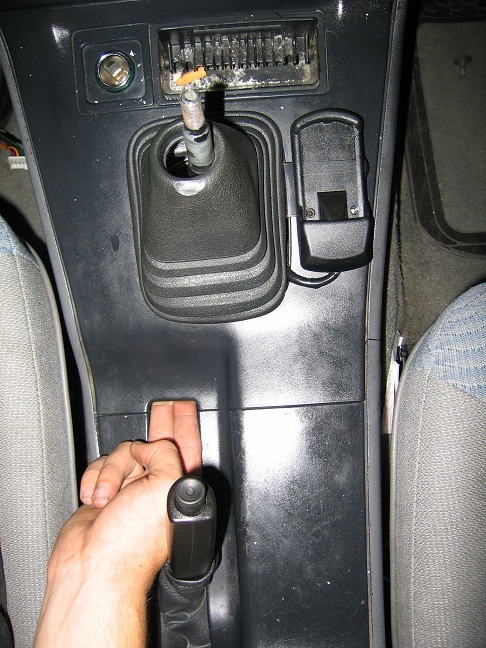 Ensure the handbrake is applied and works! 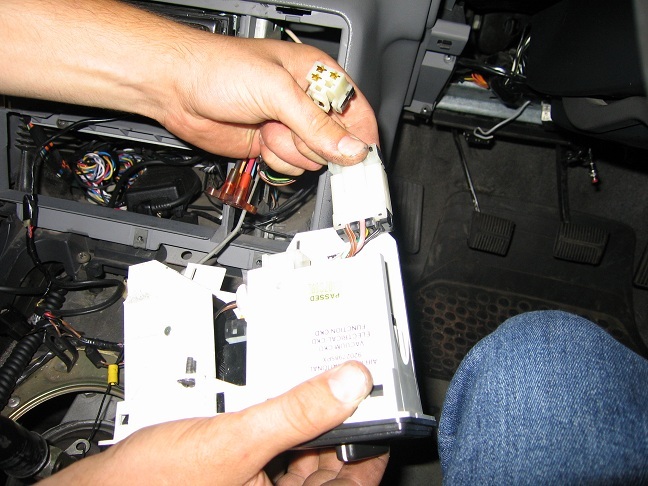 with the cover lifted disconnect the cigarette lighter and illumination harnesses from the cover. these are simple push clip style connectors.. push the retaining tongue in and pull the connector apart. (auto only) Take care when removing the cover. 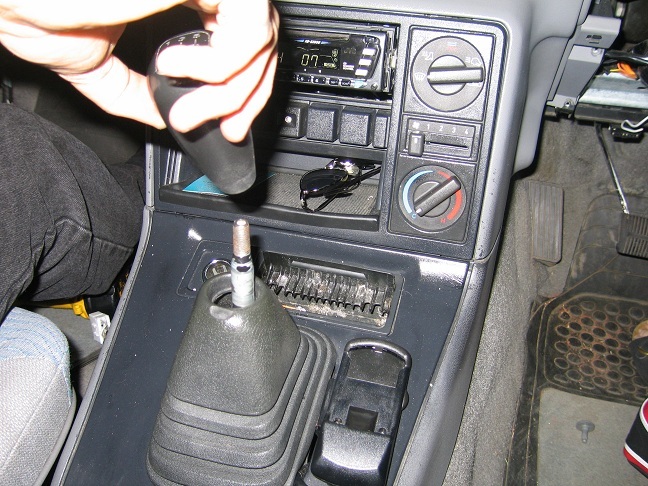 you will need to rotate the cover 90 degrees counterclockwise to overcome the T shifter. also be careful of the plastic plate with the gear letters printed on it. you may want to marks its position on the serrated tooth edge incase you move it. 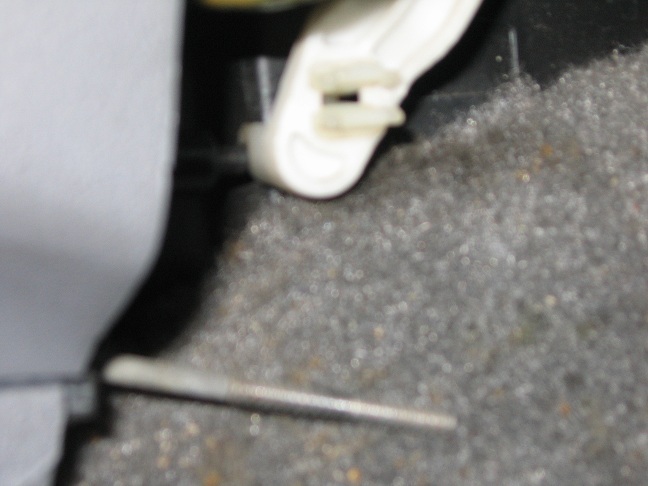 Remove these 3 screws and store safe. Remove heater control disconnecting the fan and illumination looms..
be very gentle disconnecting the vacuum cluster.. breaking it is not fun. 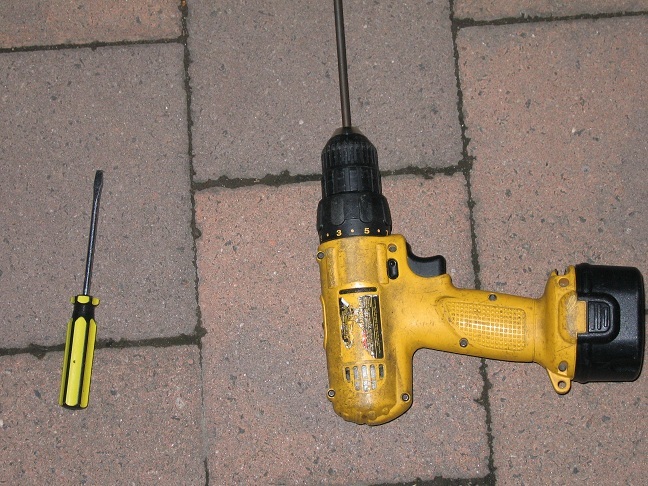 Remove these screws and store in a safe place. 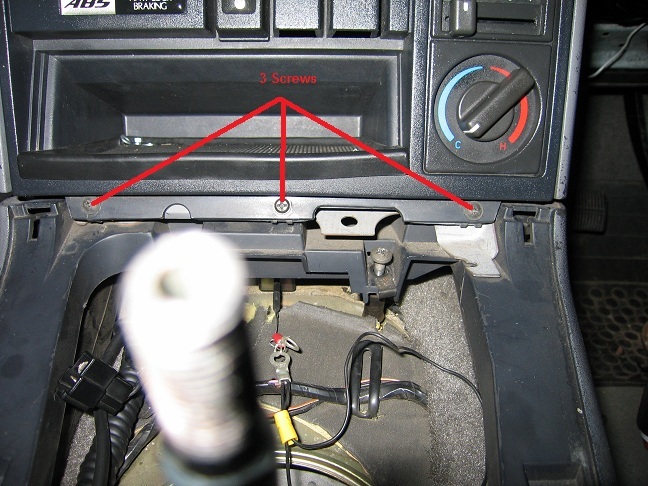 Remove the 2 screws holding the stereo onto the framework. The factory Holden stereo loom doesn't always contain illumination. 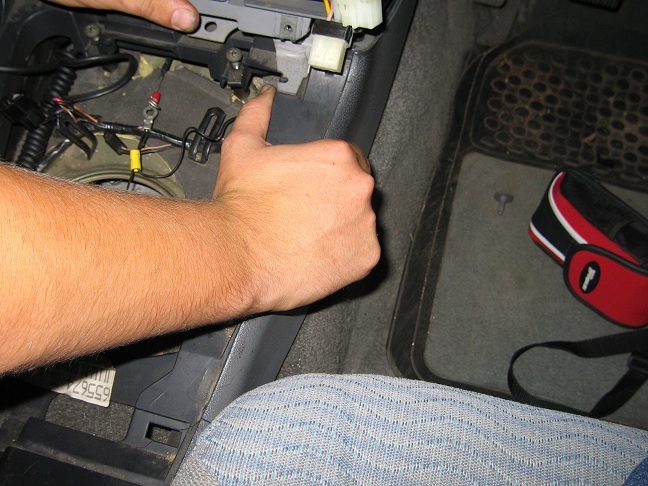 you can get an illumination trigger off the heater controls but I find it easiest to just run a tag wire from the cigarette lighter. the wire is Brown/white and is on a plug by its self. Try and keep your wiring neat and tidy.. tape it all up into a neat loom if need be, less mess = easier to put back together. Putting it all back together is pretty much the reverse of the instructions here. 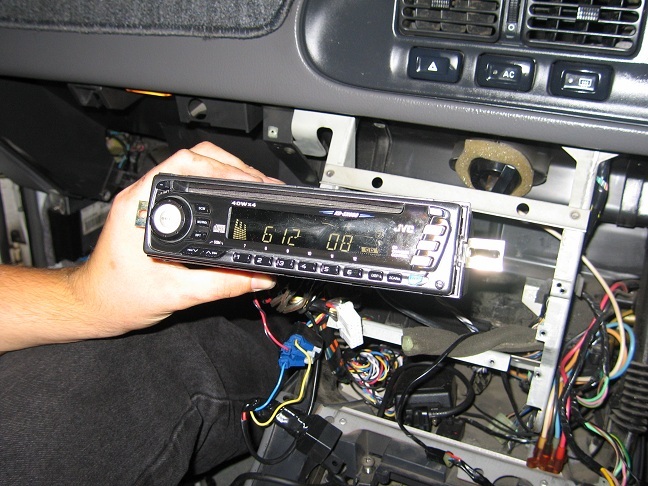 once the headunit is screwed back in TEST EVERYTHING! 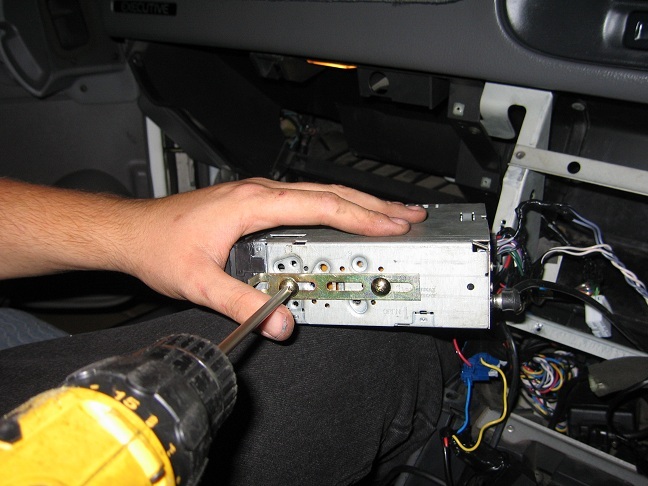 Be careful when reconnecting the vacuum cluster to the heater controls. 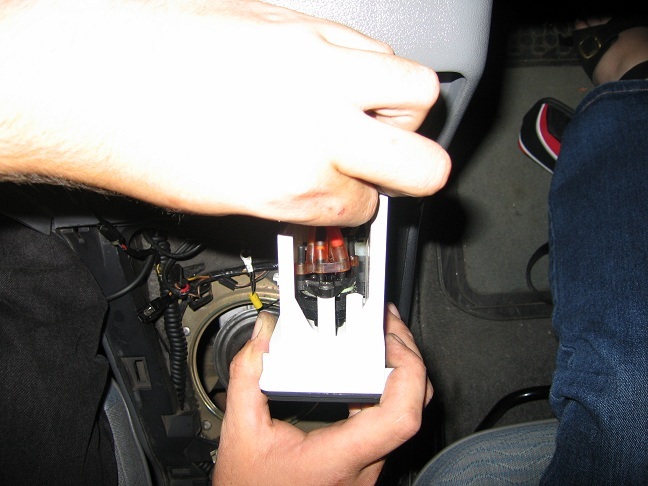 start the car and test that you can select all the different zones before you continue.. you don't want to pull it apart again because you buggered it up. 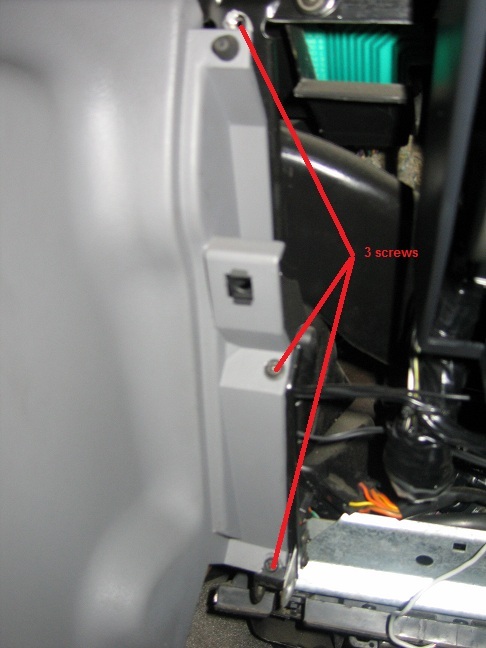 the two screws you loosened earlier on the centre console control the level of the console. don't do these up tight.. just enough to raise the level back up and make everything line up again. Now if you have any problems pm me.. I'm normally on every night. Signature from the early 00's.. Yeah I might update that. VKCOMMO and stocky like this. Very very comprehensive mate. Looks good. Couple of suggestions from my own experience. 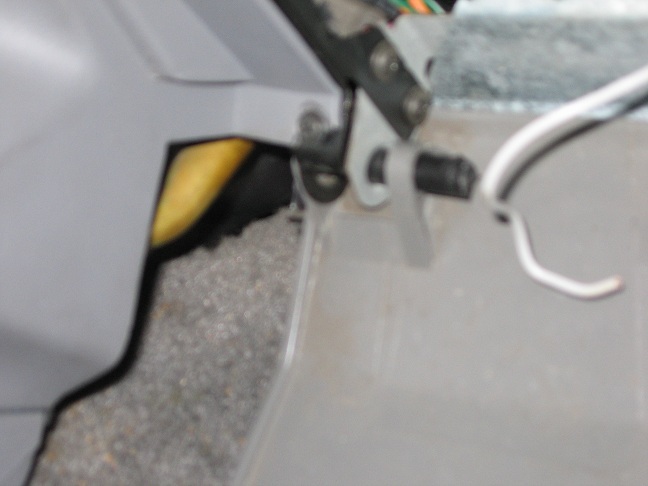 a) You don't need to remove the trans surround completely, just lift it enough to get to the screws. 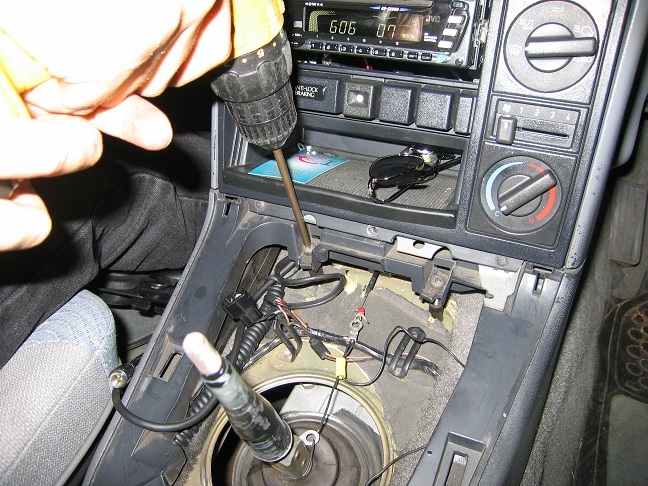 Saves any problems getting it over the auto shifter knob. 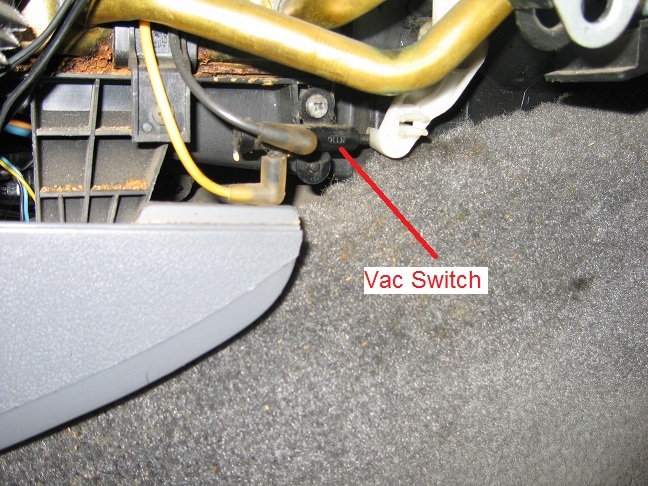 b) You don't need to remove the a/c unit completely, just unscrew it all and let it sit loose in the console.. hoses don't need to come off, less chance of things getting stuffed up. good guide by a good bloke. pitty i saw this after i learned to install a h/u! a) I think you must've had a broken one because you do need to remove the entire cover. any1 know how to fix this or get around it? Interesting pics - good stuff, shows commitment, But to be really slack I found a simpler way with the heat control lever was to just unscrew the centre pivot remove the top bush so it's not lost and let it just lay there, all vacum lines stay on. The reason is that the a/c unit does not really need removing completely, just remove two of the wiring clips so the unit will come out 5" or so, while the dash centre section needs to be undone, it does not need to be completely removed, bringing it out as far as the a/c unit permits is good enough to get a screwdriver in there to undo the head unit. 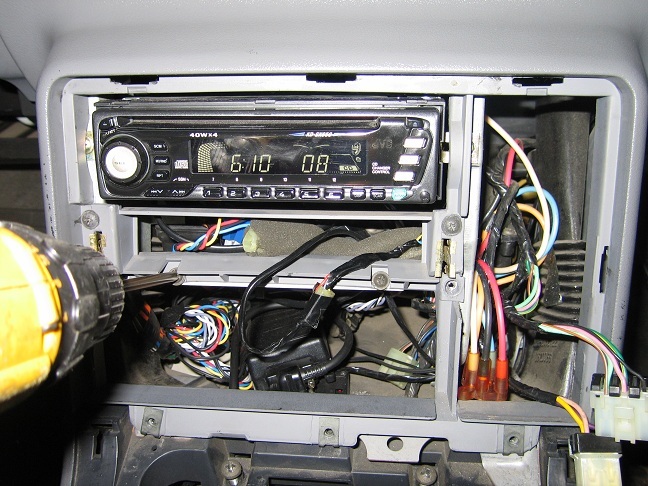 Of course once the head unit's two mounting screws are undone it is in theory possible to put it all back together "minus any head unit" (if time does not permit or ya need to have a car basically in one piece) and the new wiring can then be done at your leasure. 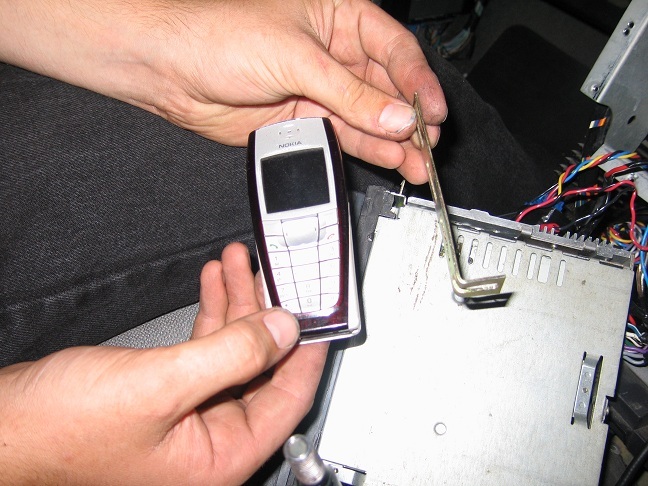 The extra slack part comes in for me personally with the alarm having a closed loop wire that can be run through anything, so if they want to steal it the wire has to be cut setting off the alarm instantly, nevermind that first getting into the car via any door / window sets off the alarm anyhoo, and not knowing the thing is not bolted in can't be felt as the foam is compressed holding the head unit very tightly, with the alarm having a seperate power supply they are technically screwed either way, and by then the dog will have their nuts for dinner, a real nasty habit but they are criminals so who cares. But to do it properly, the head unit black plastic surround will hide the modified center dash plastic allowing the two screws that the entire drama is all about to be fitted if needed, and with screw heads using security screen screws that need the special screw bit to undo the screws, as they are grade 8+ hardened steel drilling em does zip but break the drill bit, and by then they will have the dog having dinner on their testicals and a Remington 1100 full of 00 buck AKA SG's in their ear so they may give up. Back to the point, with the closed loop in my fairly expensive Kenwood unit it can be fitted quite securely with 1" wide 1/8" thick stick on foam door weather seal strip that WILL hold the unit in place very well and isolated from vibration, not that it matters, the seperate stacker can go anywhere it fits, under the rear of the front drivers seat seems the go, changing 10 disks once a week seems fair and it's not rocket science. 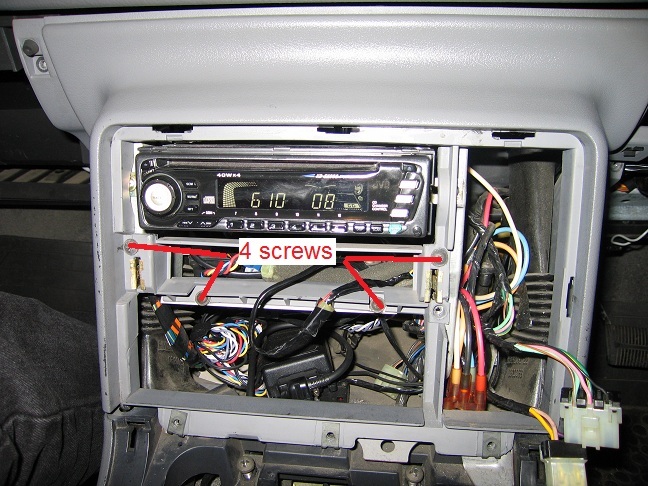 Just a different approach on the basic idea that improves security, the two security screen or Torx bit mounting screws can and should be used either way, just in case they are prepared to smash the plastic to get at your new head unit, at least it will slow em up a tad, maybe enough for em to lose interest in taking it in one piece. 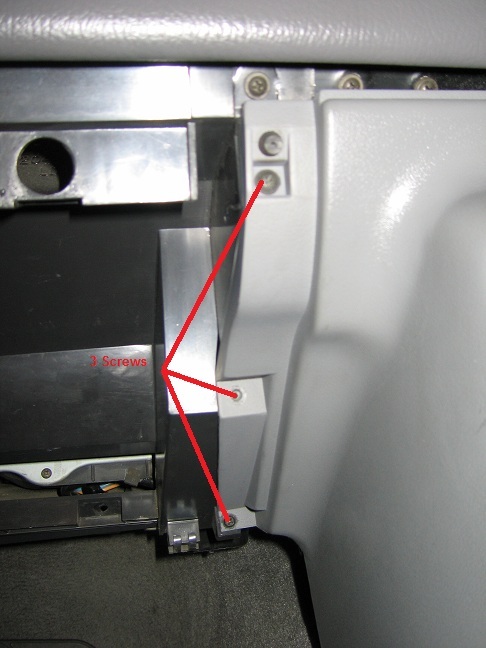 Remember the plastic centre dash panel will sometimes break where the mounting screws hold it on, keep some flat washers and 5 min araldite handy just in case. 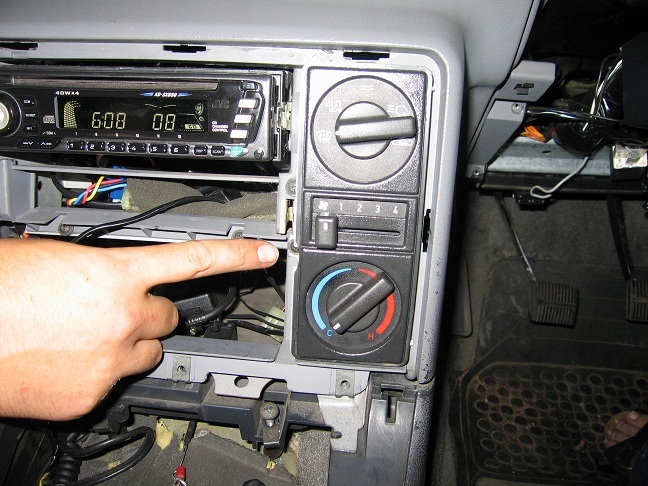 Most that have cut the stock vehicle wiring harnes may have regretted it later on should another head unit need fitting I see this shown in the pics above. 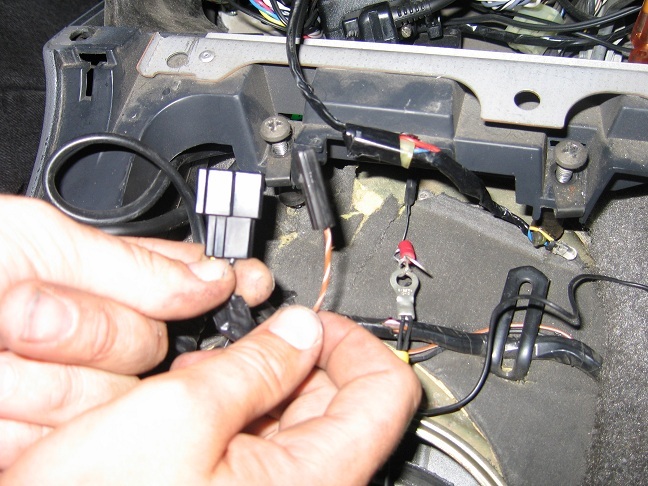 There is a plug available with 7" or so of color coded wires ready to solder up / heatshrink the joints and simply plug it in to the existing loom and your good to go, it saves a lot of stress, time and any possibility of having a stray +ve wire hit any earth while working in the confined spaces of the dash. The company is Aerpro found at the following web site, http://www.aerpro.com.au/ for Toyota Lexcen and Holden VR-VS is part # AP1783H, I found that in respect of the car's loom that the constant +ve wire is the Yellow and accesories is an Orange, opposite to many wiring diagrams so it pays to put a meter inside the existing plug just to check this out before going any further, Note; some seem to be different on the same model perhaps due to the car's manufacture date ? After soldering the new plug's wires to the H/U chosen the new plug simply clips into the existing car's loom, shown on the packet are the new plug's wiring codes which were true to lable for my VS, and although different colours are in some wires on the car side of things, the wiring colours on the new plug side matched my Kenwood H/U exactly so it may well fit many other aftermarket h/u wiring, 11 basic wires are on most Kenwood H/U's, plus another two for the electric aerial, Blue and Blue/white. * Pink - mute, "ignore"
* Blue - power antenna "ignore unless used"
* Blue/white - remote "ignore unless used"
* Orange - ilumination "ignore"
* sometimes not all fitted / not used, depends on model, 2 antenna wires will be fitted tho. actualy. 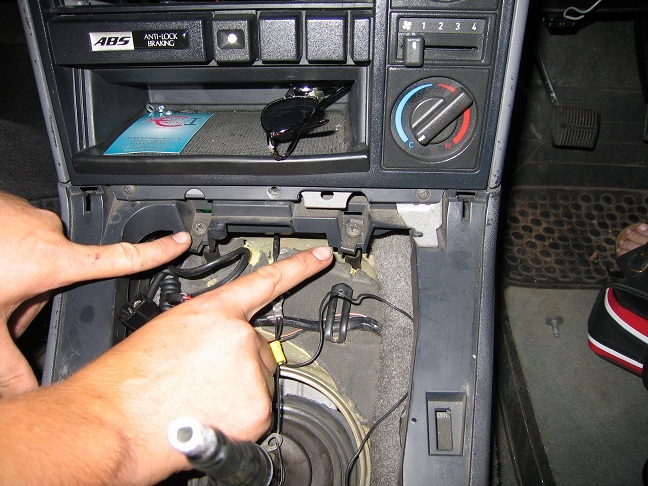 no i still have the stock plug on my wiring harness.... and the harness for the deck that came in the car when i bought it(the one in the picks) and the blaupunkt wiring harness too.... besides being an installer it takes me less than 5 minutes to rewire it anyway. 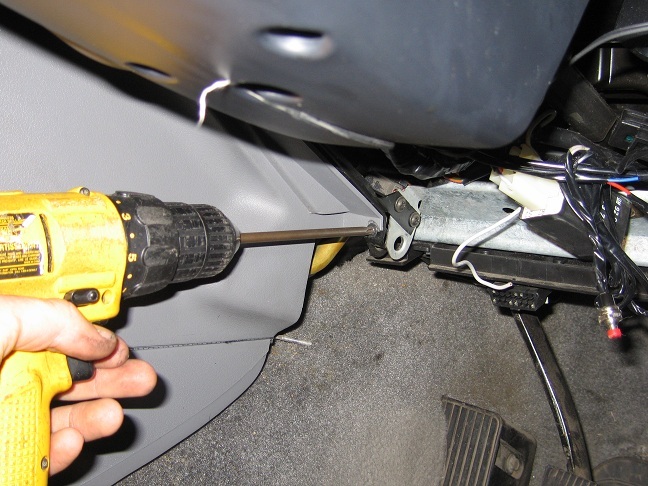 i would agree with the security bits.. but stay away from torx as most theives have torx bits these days (or atleast the tips for a drill) goto a nut and bolt shop and ask them for security bolts requiring a custom driver. All I know is the one I bought last week works properly when wired up as directed, all 4 speakers work as meant to. Then again I did use a meter on all the wires just to be sure, but nothing was out of whack. Sure makes it a giant heap easier rather than cutting the stock plug off the loom. Yes the adaptors are the go.. most definitely. Cost you around $20 and will solder up to the half-loom you should get with the HU. All things being nice, they should both use the new universal colours, which the VR-VS doesn't. This means you just have to solder colour-colour, makes it very very easy. 12Volt.. as to the centre console thing. 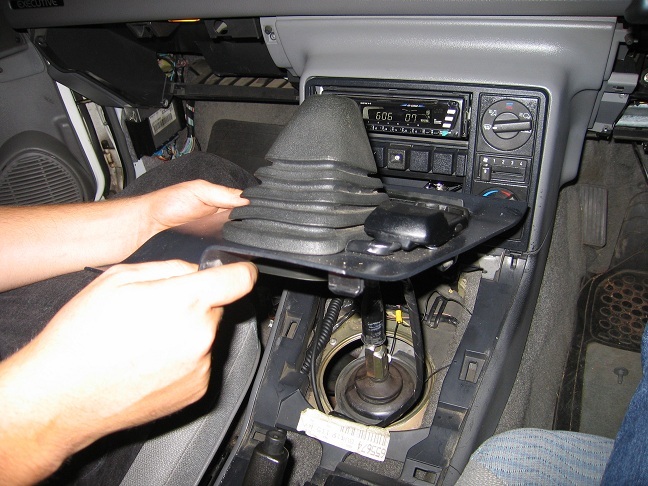 You can lift up the shifter surround and spin it 90 degress, this gets it well out of the way of the screws hidden underneath, and as i said, there's no hassle of trying to get it over the shifter knob. Still no climate control. Are they as easy as the standard control? Whilst most of JC appreicates what I do and the time I gave up to make and post this guide the ones that dont grind my gears! 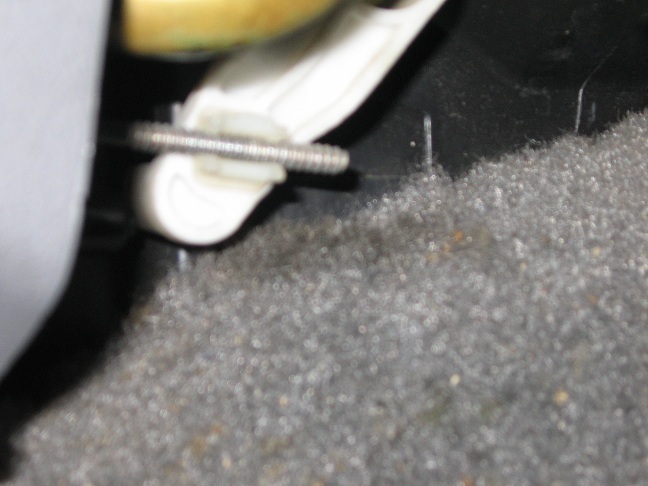 when trying to remove the transmission cover (auto), i have managed to loosen up teh left hand side of it but cant prise it up from the handbrake, is there a clip im missing or sumthing to the left of where u put ur fingers? ic ant get it loose.